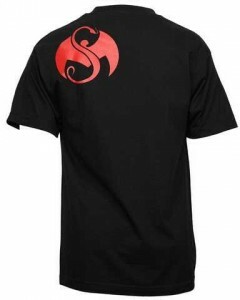 Proudly display a vital piece of Strange Music imagery with this black 100-percent cotton t-shirt. Available in M, XL, and 3XL, this t-shirt features “Strange Music” written on the front with a menacing snake behind it and the Snake and Bat logo on the back. Click here to order yours today.